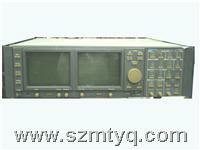 Description: The Tektronix 1780R is a refurbished NTSC Video Measurement Set. Precision differential phase/differential gain measurements even with noisy signals. The Tektronix 1780R NTSC Video Measurement Set provides full bandwidth analog processing, precision waveform and vector measurements, and polar SCH presentation with calibration mode.